Need any help on what is the correct size you require? Multiple items can be placed on one order, with one delivery charge as long as your order is being delivered to the same address. We use Royal Mail, Parcel Force and DPD courier service for reliability of service. Can I have free delivery? Additional surcharge £5.00 for Ireland, Jersey, Guernsey and Isle of Man. Can I have discount on my order? These options will be automatically applied at the checkout stage no coupon or code required. Can I have an Express delivery? Yes we can offer Express Delivery. Please call the sales team before placing your order to make sure we can meet you requirements. Additional surcharges apply for this service. Can I have a specified time for delivery? Yes we can offer before 12 noon or next day delivery. On despatch, we will send you a notification email alerting you that we have sent your order. How and when will my order be delivered? Orders will be delivered within 24 - 48* hours of being despatched between 9am and 5pm during the week. .
What will happen if I am out when you deliver? If you are unable to receive the delivery then a card will be posted. This card offers you a number of options including an alternative day for delivery, a safe place to deliver (such as a neighbour) or collection from postal depot. Can I have a Worldwide delivery service for outside the UK? Yes, we use Royal Mail, Parcel Force Worldwide Global and DPD delivery services. From despatch average delivery time Worldwide within 7 days. For all Worldwide delivery enquiries please contact customer services. 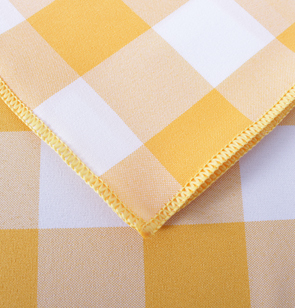 All standard item orders from Love Tablecloths come with a no reason 30 day money back guarantee. In the event that you are not completely satisfied with your product, please notify us within 30 days of receiving your order. Bespoke items are non returnable unless defective. We will then provide either a 100% full refund or offer a replacement at your preference. 100% full refund also includes any delivery charges made on your order. Refund or a replacement option will be provided on any items that are defective. Before returning goods please contact Love Tablecloths customer service on Tel 0800 612 1379 with your order details. We will also arrange for any product returns to be collected Free of charge from your address. Refunds or a replacement will be given on standard items unused products or defective items only. Return items to the address below. My question isn't listed above? For any questions you may have please contact customer services. Payments for orders can be made with all major credit / debit cards, PayPal, bacs payment or Cheque. All website order payments are transfered via our secure payment gateaway using SSL encryption between providers, alternatively you may use *Paypal as your payment method. *PayPal payment checkout can also be used for all major credit card payments. You don't need to have a PayPal account and you will receive all the benefits of PayPal ordering with payment protection & assurance sevice. Either way your assured of a simple straightforward & secure transaction. For Phone orders please call Tel 0800 612 1379 and we will arrange to send an order confirmation proforma invoice. We will also complete all supplier applicaton forms when required. Payments can be made with all major credit cards, PayPal, bacs payment or cheque. The Hargreaves heritage goes back over 500 years to 1480 when Christopher and Jennet Hargreaves were handloom weavers at High Riley in nearby Accrington. In 1604 another Christopher married Elizabeth Nutter the niece of famous witch Alice Nutter who was hanged at Lancaster Castle. High quality products, 99% of all orders delivered on time in 2018. Standard item orders in unused condition have our no reason required 30 days returns. Free courier returns service with 100% order refund, including delivery charge paid. Proficient customer service, advice & support available 7 days a week. Safe & secure payments online shopping SSL certified encryption. Lovetablecloths.co.uk Oswaldtwistle Mills Ltd, Clifton Mill, Pickup Street, Oswaldtwistle, Lancashire BB5 0EY. Company Registration No 2928759. All Rights Reserved.